Crossties, Hardwood Crossties, Treated Crossties, Railroad Ties, Crosstie Purchases, Softwood Crossties, Railway Ties – Thompson Hardwoods Inc. Traditionally, railroad crossties have been made from a variety of hard and soft woods. On the other hand; concrete, steel, and plastic composites are also employed throughout the world, but in far less quantity. Due to its inherent properties, wooden crossties are used in over 93% of all track applications in North America. It can be easily spiked and lasts a long time when properly treated. Additionally, the ties will hold up under millions of gross tons of traffic! 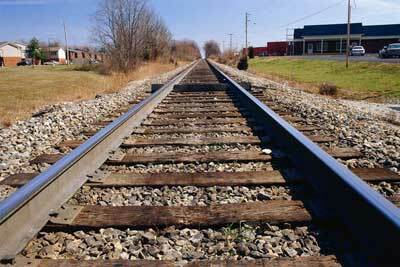 Treated hardwood crossties stay on track for approximately 30 years, and there can be up to 3,000 crossties used in just a single mile of track. 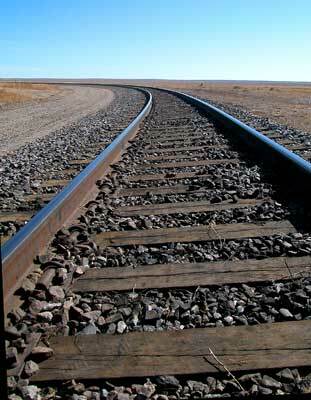 The rails of the track are fastened to the crossties by a railroad spike – a large nail with an offset head – and several of these rail spikes can be used on a single crosstie. The rail spikes are driven through tie plates and then into the crossties for the purpose of keeping the rail in gauge. Wood is derived from solar energy. Wood acts as a carbon sink (a natural reservoir that accumulates and stores carbon for an indefinite period of time), and traps greenhouse gases. Wood is the only renewable resource used in the production of crossties. Less energy is used to create wooden ties, as opposed to its steel and concrete counterparts. After its useful life, the wooden crosstie is one of the best sources of biomass (organic) fuels in existence. The preservative creosote, which is naturally derived as a byproduct of the coal-coking process is biodegradable.